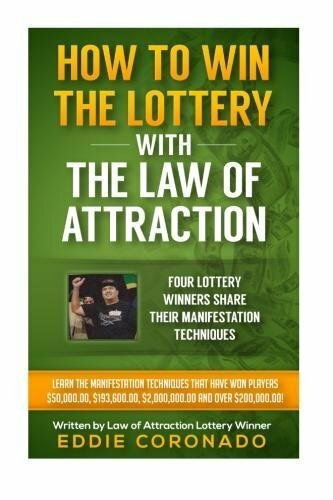 Many people would love to win the lottery or to win a new car or house. But how many of us are actually entering competitions to try to attain these things? Certainly, working hard is the only sure-fire way to achieve great things in life. However, there are lots of individuals out there who have taken competition entering to another level and do it not only as a hobby but as a full time passion to win cash, cars and more. One may think that increasing the number of contests you enter will mean the odds go up for you winning. However, whilst this may be statistically correct, what good are prizes which you do not want, need or have any use for? The rule of thumb is that quality is always better than quantity. Therefore, you want to pick contests to enter which offer prizes that you actually want and desire to win! There are lots of tips that professional ‘compers’ will have for entering but I hope that my five points below can provide a little guidance on the topic to get you started and inspired today. The first thing to consider when you want to enter a huge number of competitions is that you are inevitably going to receive emails and sometimes spam mail to your inbox. In order to separate out these competition specific emails from your usual personal or work related ones, it is a great idea to create a new and unique email address which can be designated to the task. Pick a catchy email address which is easy to remember and to type out because you will be entering it hundreds of times into entry forms. Certainly, you could use various auto form filling tools or you may wish to simply copy and paste your details, but it can save a lot of time to have a concise and memorable email address to begin with. In addition, consider looking for a cheap or free SIM card for your mobile phone so that you can also have a designated phone number for your competition entering hobby. These days many of us have an old or out of date model of mobile phone just lying around in a drawer somewhere. Consider giving this phone a new lease of life and use the number for filling in your competition entry forms. Now that you have your new competition specific email address and potentially a new phone number for the task, you can start the exciting part of searching for contests which you want to enter and win. However, one may feel suddenly daunted by the sheer number of competitions out there online. There will certainly be many obscure brands that you have never come across before, and you may feel uneasy about entering every single contest going at first. The key in finding your way through this minefield of contests on the internet is to be selective in what you choose to enter. This means only entering competitions for prizes which you actually want to win. This will not only help to keep your enthusiasm levels up regarding the hobby, it will also help you to narrow down your competition searches online. In addition to this, stick to well-known and trusted brands at first which you recognize and can identify with. This will help you to build up your confidence with entering too. Whilst it may not be the first thing on your mind when it comes to competition entering, joining social groups related to competitions can actually be a really good idea. This is because lots of other ‘compers’ share the locations of where they have found specific contests on the internet. This helps you to narrow down your own searches and to find out if the prize is something that appeals to you. It also helps you to feel part of a community of people which share your hobby as well. Perhaps create a Twitter account or join a Facebook group which is designed to support other fans of entering competitions. The other plus side of this is that you can ‘follow’ (on Twitter) and ‘like’ (on Facebook) other big brands which will run and mention their contests on social media too from time to time. This can often be a great bonus way to see the contest before it goes out into printed media for example. ‘Share’ and ‘like’ contests occasionally and your ‘comping’ friends and connections will often do the same for you in return. When it comes to the internet, you could be looking all day for contests to enter. However, remember that there are other sources for contests out there too! 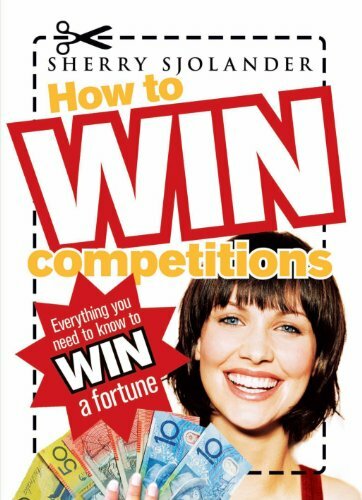 From flyers that come through your door to local contests in your nearest shopping center, search for the word ‘competition’ and ‘win’ and ‘enter to win’ wherever you go. Local newspapers will often run competitions as will magazines and your favorite radio stations. All of these sources will often also have websites on which you can enter too if you missed any vital details regarding the contest. This is not to mention the countless television contests which you can find during programs and even on advertisements as well. Cast your net wide and keep your ears to the ground to hear about new and exciting local contests in your area, and you may just be surprised as to how often you discover the word ‘win’. (As a bonus, remember that entering local contests can reduce the global competition that you would usually have to compete with for online competitions too). Lastly, it may seem slightly boring and laborious to read through small print and rules regarding competitions, but it really is an essential task for the more ‘serious comper’. This is because there are sometimes contest rules which you have to follow. For example for a cruise or holiday prize, check if there are specific dates or time periods when you have to take up the holiday. Also, check if you are available within that time frame. Alternatively, when it comes to voucher or gift card contests check if there an expiry date by which the vouchers must be used. It is these sorts of little details that can sometimes catch one out so it is good to be prepared and plan ahead wherever possible. You may think that you can put off reading all the rules and regulations for a contest until a later date and only then if you win. However, sometimes contests are taken down from online sites to signify when they have closed. At the very least, try to copy and paste the rules and regulations to a word document if you can (and compress the file size down), for any larger competitions which you are concerned about or for ones which have very specific and/or complex rules. Just remember to delete these files periodically if you wish to free up your disc space again. Finally, you may wish to keep track of the competitions you enter. This not only helps you to monitor your progress, it can also stop you from entering a competition more than once. This is important because in some contests the entrant can be disqualified for multiple entries. Make a table and use columns for the contest, the prize, the closing date and even where you found the competition in the first place. Set aside a specific amount of time to enter contests each day or weekly and try to stick to this target. Getting into a routine will also help you to keep up your hobby and to maintain enthusiasm about entering. I hope that these five brief tips can provide you with a little bit of motivation to get entering more contests. You never know if you will win, but if you put in the effort then you have every chance just like everyone else who enters. Be positive and optimistic about winning because having a great attitude and approach will encourage and inspire you to keep trying too!